Career Resource Guide for People with Disabilities (3rd ed.) 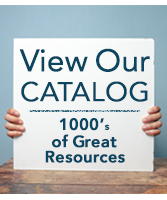 - National Professional Resources, Inc.
Indexes list entries by disability, geographical location, and organization name. This edition also includes a new foreword by T. Alan Hurwitz, PhD, head of the National Technical Institute for the Deaf.